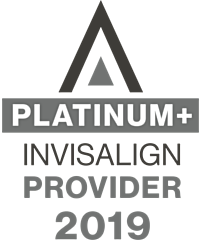 More than 1,000,000 people are smiling brighter thanks to the Invisalign® system. 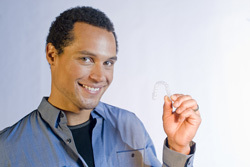 See just a few of the lives changed with Invisalign®. I’m so glad I made the investment to go with aligners rather than metal braces. I’ve heard stories of people having food stuck in their metal braces, and I didn’t want to go through that. It’s so easy; all I have to do is remove my aligners when I eat. At first, I was skeptical about whether or not to use plastic aligners to straighten my teeth, but I am very glad I decided to make the investment. In just about nine months my teeth were straightened using the clear, comfortable, and easy-to-remove aligners. I’m a busy guy, and using Invisalign® fit right into my lifestyle. The reason I went with Invisalign® is because I’m not a kid anymore. I didn’t want to look like a kid with braces on, and have the hassle of keeping them clean. There is a lot of work to keeping your teeth in good health when you have traditional braces. What I like best about Invisalign® is the fact that I can take them out and floss and brush my teeth and put them back in. So it’s not like I'm working around all this metal in my mouth, trying to get the toothbrush and floss in there.